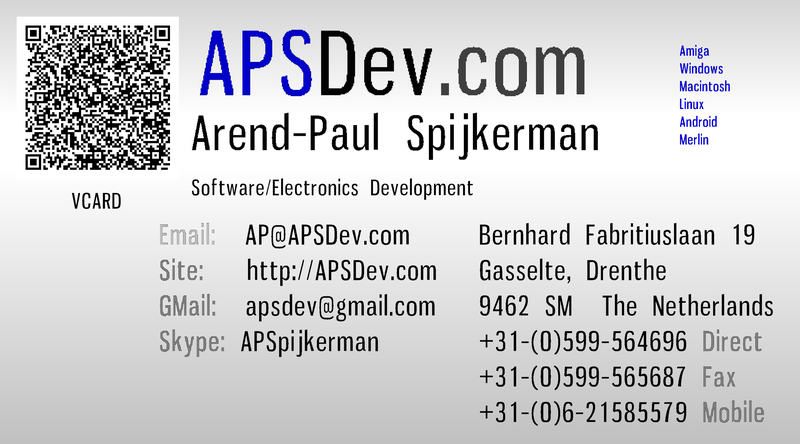 My name is Arend-Paul Spijkerman (but i'm also known to listen to 'Paul' or even 'A.P.'). to the countryside in the north-east of the Netherlands when i was aged 10.
i learned electrical engineering (at C-level with German) ('80-'84) at the LTS in Musselkanaal. 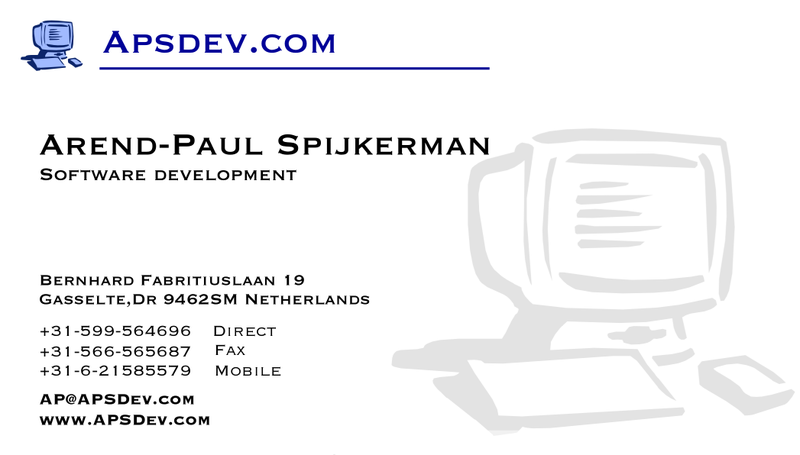 i studied electronics (with telecommunication) ('84-'88) at the MTS in Stadskanaal. and technical computer science (= computer science plus electronics) ('88-'92) at the HTS in Emmen. multitasking .. and a program to write music paper. I owned a Sinclair QL from November 1986, which i basically used for rendering things in higher resolution. My first Amiga 500 computer i bought in August 1987, which i programmed in Basic and C.
In januari 1989 i bought an Amiga 2000 with a PC emulator card .. so it was both an Amiga and a PC. I used it to program and run my BBS system software on it. 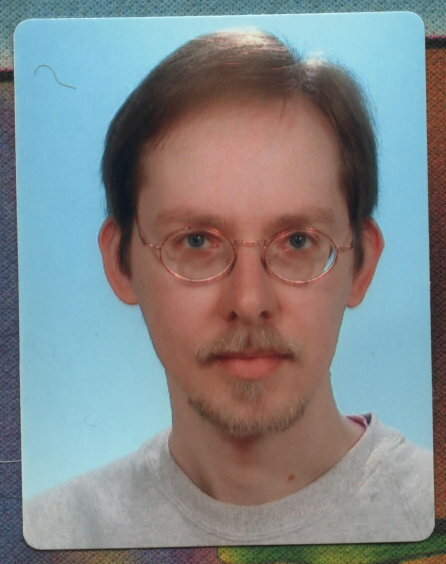 I started to use Apple macintoshes at work in 1999, and got some of myself soon after. Followed by an iphone in 2011 and android in 2013. And had a Linux installation on PC from around 2000. -Software development for Mac, Windows, Amiga, Android and Linux. -Programming of internet programs, video programs, GUI and graphics programs. -Programming of 8 & 32 bit microcontrollers and processors, Scenix SX, PIC, 6502, Z80, ARM, XMOS. -Programming of MBED, lpcxpresso, javelin stamp, basic stamp devices. -Digital and Analogue circuit designs. it compiles on old and new Amigas using SAS-C or GCC. without the need of making changes. The library contains basic functionality but also more complex functionality. deAllocated without being overwritten) and functions to handle doubly linked lists. There is a library of "save" functions to handle text strings. Also it contains functions for internet access, and client/server logic. to perform actions on pictures, like scaling, texturing etc. There is even an engine for 2D/3D games. background pictures, and all kind of effects. The GUI can even be defined in a text file, so it can easily be changed later. So to handle the GUI the main program only needs a handfull of calls. The GUI code has enough functionality so it can be used in my webbrowser. Also on Mac and windows there is a video play object, so videos can be shown in the GUI. There is an audio player for Mac, Windows, Android etc which supports MP3 and avi tags. -Installation and repair of nautical electronics like radar, radio (marifoon), sonar, depth meters, syledis navigation, building antennas. -Made a database of all the electric motors in the buildings. -Debugged machines that regulated humidity of pulp. -Written reports about workings of sub systems. -Assembling robots for production line. -Etching and soldering of circuit boards. -Writing and modifying PLC programs for production lines. -Build a sound recognition system. -Written extensions for the Xenolink BBS program, like tools for nodelists and games. that people call with their computer and a modem to chat, exchange mail or download or play games. The system is Multinode and has a internal server program for resources like messages, files etc. for the nodes and mail and file processors to use. and exchange mail and files. It has mail and file processors to route those through the network of computers. It has a RIPscrip interpreter for screens with RIP graphics. Dashboard software. 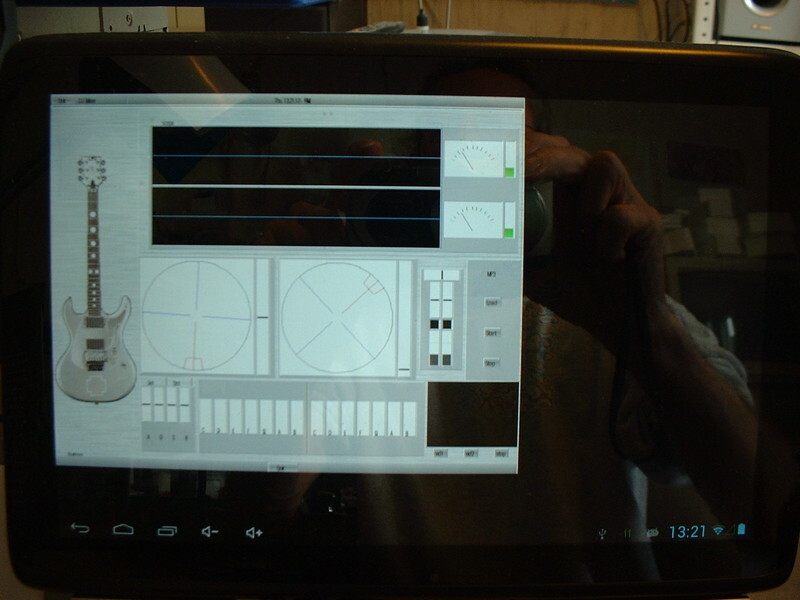 And configurable GUI software to follow whats going on and control all aspects. and other GUI elements. And can be controlled by scripts like arexx or the internal type. -Written plugins for the ImageFX software for Nova Design to for instance add fireworks to animations. -Written Amiga software to recover source code from crashed HDs. -Work on prepress software source code on Macs. -Implementation of sorts of image compression like G3/G4, JPEG, PNG, GIF, etc. -Conversion of projects to different Operating Systems..
-Implementation of features like scatterproof. -Worked shortly on systems to make photographs on rides. Writing custom software, development of hardware. to port software written for one platform (like Amiga) to a lot of other platforms. Also it makes it possible to write software once, instead of having to write it several times for several platforms. And it makes it possible to develop software for Android, but to write and test it on PC or Mac. It works on a lot of platforms like Windows, Mac, Linux, Amiga and Android. The library supports things like Dynamic Graphical User Interface (GUI)..
A User interface can be defined in a text file and updated over internet and contain news articles or advertizements. It supports video, custom fast high compression picture storage, Sound, 3D rendering etc. -Stampdock graphical software for microcontrollers. like graphics, graphical interface with buttons, meters, sliders knobs etc, data storage, time service etc. Made all kind of demos for microcontrollers like: basic stamp, javelin stamp, mbed, lpcxpresso, arduino. -Written an android app for a cheese salesman. excaliber to render pictures from scripts. -Build custom electronics and computers to control banks of DVD players for museums in for instance Assen and Heerenveen. -Program custom scripted or interactive software for video/slide presentations for museums. -Attempted to port Amiga software like Mediapoint software to other platforms using my Crystal library. -Written FotoFoto game software for different systems. -Attempted to connect devices like Parallel MP3 players to Amiga computers. -Worked on plugins for ImageFX. -Demo of settopbox software that runs on PC and Mac laptops, to demonstrate video streaming and how settopboxes will work. -Software to provide video services on PC and macs for companies like Streamwax, that included GUI definitions and graphics downloadable via internet. And options for news articles and advertizements. -Internet spiders to find internet video streams. -Written software to decode and repair MPEG video streams. -Solar system monitor for PC, Mac & Android. - Suzuki Violin software for Mac. The suzuki violin program is a game to where you get points when you correctly play the score. It was made to make violin lessons more interesting. - Merlin Web browser for Mac, Windows and Amigas. Windows. While using only megabytes to run. Although the development is fairly recent, it does display most amiga sites. Sites like AmigaWorld and google work. but right now it is more orientated at Amiga computers. - Web Spider for Mac, Windows, Linux and Amigas. This is software created for AHT-international to find internet video channels. - vTuner internet radio for Mac, Windows and Linux. the vTuner linux library and windows DLL i made for settopboxes and software from AHT-International. 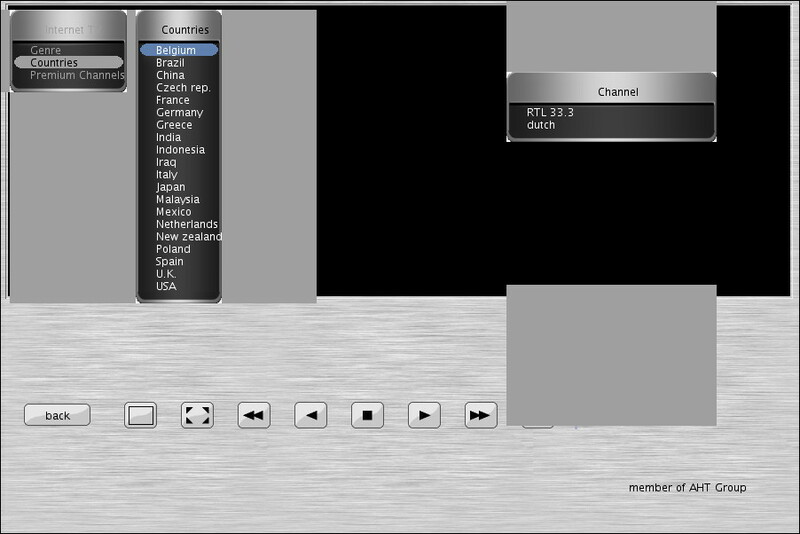 radio channels (and some tv channels) with which the application can communicate. contains lists of categories and channels. - Merlin sequencer software for Mac and Windows. automated or with interaction of users. Because of the build in "basic" script language you can make the shows as complicated as you want. It is a bit like a simple narrowcasting or digital signage system. 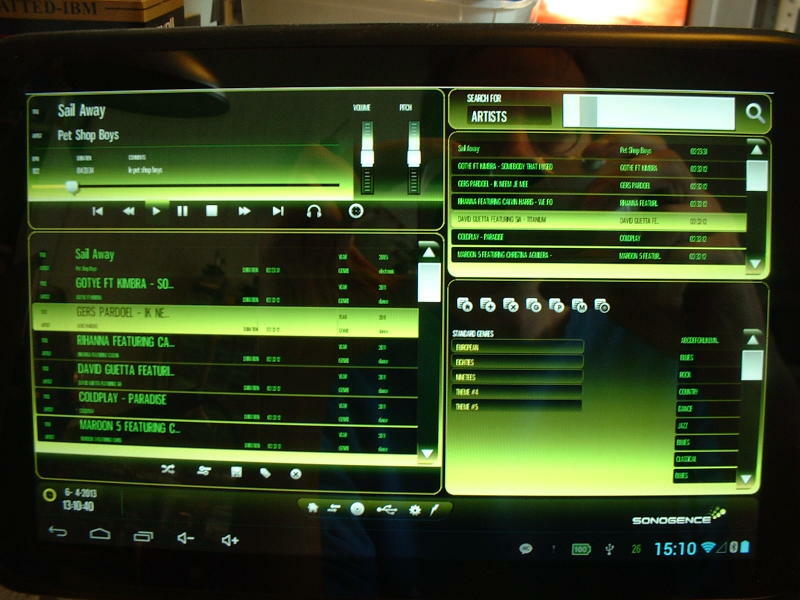 The sequencer is a system with which you can define screens in a GUI language. to other screens and all kind of graphics and logos. Each screen can have a script to handle sequences of videos and pictures, and to interact with users. This software was made for AHT settopboxes, and to run on Macs or PCs in museums. - Stamp dock software for Mac and Windows. things without needing external hardware. To be published in an electronics magazine in 2010. - Airport software for Mac and Windows. It interpretes scripts which show pictures or video streams overlayed with text. The server and clients run on Mac and windows. This software was made for AHT-international, to run on settopboxes on Airports. P2P video for AHT to be able to show video secure on settopboxes. - MerlinApp internet video deliverance system for Mac and Windows. MerlinApp is a fully configurable system to be able to deliver video over internet. for projects like bavaria racing, rizla racing, NOC/NSF and vietnam TV. - WMV9 media player for Mac, x86 SUSE and PPC SUSE linux. PowerPC based settopboxes, as the hardware could only decode MPEG. - ImageFX2 for Mac, Windows, Linux and Amiga. - Foto Foto software for Mac, Windows, Linux and Amiga. to find differences between 2 photos. - Inga game engine software for Mac, Windows, Linux and Amiga. to other platforms like AmigaDE, mac and windows. - Trion BBS system software for Amiga computers. manual logins, or exchange mail with other BBS systems. - Chop lift 3D game software for AmigaDE, Amiga, Mac and Win. and have to rescue people. - DVD control system for the museum of Assen. play audio when visitors pass sensors, or "dial" a track using phones. - DVD control system for the museum in Heerenveen. plays audio when visitors press buttons. This is a custom settopbox i build, shown at the Cebit show. These are small boxes with moving lights on them, based on a basic stamp.